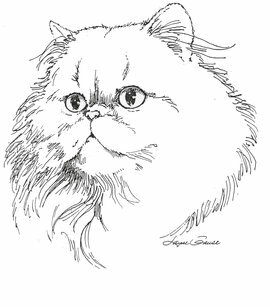 Cleveland Persian Society puts on two CFA Allbreed Cat shows a year. One is the third weekend in January and the other is the third weekend in November. The January show is located at Lakefront Arean, 5310 Hauserman Road, in Parma Ohio. This location is a couple blocks south of Interstate 480 and Tiedeman Road exit. (Tiedemen and Hauserman Road are the same street, it just changes names once it crosses Brookpark Road.) Stay tuned for the location for our November show. Our January Show 2019 will be held at 5310 Hauserman Road, Parma Ohio, on the 19th and 20th. This will be our 101st year as a cat club. Our November Show 2019 will be on November 16th and 17th. As of this date, we are still looking for a location in the greater Cleveland area.